The Musical Instrument Digital Interface (MIDI) is an industry standard format for transferring data between synthesizers and other musical machines. While MIDI predates the desktop computer revolution, the format became the standard for interfacing computers with external electronic music equipment as well. As of 2010, a simple USB port is all that is necessary to connect a MIDI device to a computer. To perform the task, you need a USB-to-MIDI cable or device that converts USB to MIDI. Many options are available for such connectivity, from simple cables to larger units that offer additional features. Purchase the Xmidi 1X1 Tab by E-mu. This simple cable provides a USB plug on one end and two MIDI connectors on the other: one for MIDI input and one for MIDI output. With this method, you can connect any MIDI instrument to a computer's USB port and have the computer data automatically converted into both incoming and outgoing MIDI signals. 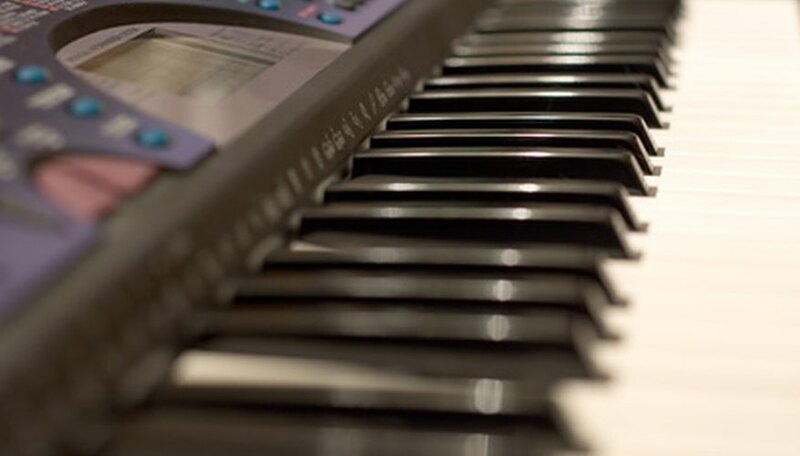 You can use the synthesizer or other instrument to control digital music software, and in turn have the software automatically play back songs on the external device. This simple and portable solution is among the least expensive ways to convert USB to MIDI. Install an M-Audio Midisport device to the computer if you need to convert USB computer data for more than one MIDI instrument simultaneously. The Midisport series of products by M-Audio includes small boxes that sit next to the computer and connect to it via a conventional USB cable. While the device is an actual piece of hardware, it doesn't require additional power supply. The operating power is received directly from the USB. The Midisport 2X2 provides input and output for two MIDI devices. The 4X4 supports up to four devices. All Midisport boxes send the data through a single USB cable. Attach the Cakewalk UM-3G to the computer for the most flexibility when converting USB data into MIDI. The UM-3G supports three MIDI connections, but also provides switches for each MIDI port to set how the device routes the data. It is sometimes necessary to send MIDI data through a converter box unaffected, without the box interpreting the data as either incoming or outgoing information. The UM-3G provides "MIDI Thru" switches to allow you to address this need, if necessary. Cakewalk uses a proprietary low-latency technology to more efficiently manage the transmission and conversion of large amounts of MIDI data through a single USB cable. Therefore, the UM-3G may provide better results when working with a large collection of instruments.